eWay-CRM is a full-featured CRM solution for Outlook users in the retail industry who can effectively use it to boost customer relationships and convert basic data into actionable intelligence. eWay offers a wide range of sales and marketing features to help companies make smarter business decisions and boost revenue. The system can also be used to track stats and perform analyses as it supports traditional reports and enables custom reporting according to the requirements of specific providers. Is it really a software that can be beneficial to your company? In this article, we analyze the key pros and cons of eWay-CRM and describe specific use cases to show how your company can profit from using this solution. The main advantage of eWay-CRM is definitely customization – you can easily tweak the features according to your needs including reminders and notifications. The interface is intuitive and user-friendly, and allows you to do all the configurations using a drag-and-drop system. Plus, the text editor is similar to Word and you can learn to use it very quickly. With these benefits you can easily utilize eWay for marketing arrangements, sales pipeline activities, and to meet customer management needs. If you run into any issues, you can contact the knowledgeable and friendly customer support team via phone or email for prompt assistance. Plus, the solution is fully mobile-optimized and the vendor offers a native Android app to enable you access to the system on the go. The mobile app offers attractive features such as offline access and contact synchronization as well. The vendor has ensured their CRM solution can be used universally as it is available in multiple languages and can be functional worldwide. 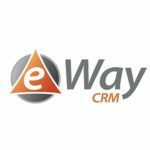 eWay-CRM can be used with any software architecture as it offers an open API and unlimited connectivity. In addition, the pricing schemes are flexible and affordable even for businesses with limited budgets. Small businesses and startups can use the tool for free, growing companies can subscribe to the monthly package, while large enterprises can make use of a life-time license hosted on their own server. Now, let’s get down to the brass tacks and analyze the eWay-CRM pros and cons more closely. How can this solution boost your company’s productivity? The unique point about this CRM app is it combines conventional CRM features with creative practices. This means small teams and low-tier retailers will find it easy to use the product, while large enterprises get a range of advanced features to stay ahead of competitors. Plus, the vendor constantly keeps improving the app with new features and upgrades all the time. Microsoft Outlook is an email client used by a lot of businesses for customer-management communication, so it makes sense to convert it into a centralized hub for all your contacts, suppliers, vendors, and customers. eWay enables you to do this by keeping your contacts organized and segmented, and allowing you to filter them by size, potential, importance, geography, and relationship, or with your own custom fields. All leads, projects, and communication history of contacts are readily available in Outlook, and shareable with your team members. On top of that, you can synchronize other Outlook tasks, and enable reminders for birthdays, sudden order drops, overdue payments and more. The best part about eWay is you not only get valuable info on customers, but you can also track and maintain that info, understand its potential, and make good use of it. The app tracks customers and creates notes about them to ensure no important meeting or event is missed. It enables you to offer professional service as you can create personalized messages and attach special offers and wildcards to them. The big advantage is you get notified whether clients open your messages, and their reaction to them. The emails you get are automatically added to the contact’s profile and you can access it offline and online to plan your future communication. eWay also provides a Company module that stores all attached journals and documents of contacts linked to that company. eWay converts customer data into actionable intelligence through its Marketing module. The app is not just a streamlined communication platform, but also a smart solution that analyzes customer behavior, collects valuable feedback, and helps you make intelligent business decisions. To start, you can drag and drop both your filled templates and data to the system, or create new and personalized campaigns for targeted customers. Plus, you can utilize the easy-to-use text editor to prepare attractive marketing messages and add personal attachments and wildcards. Another benefit is you can track feedback automatically in the form of concise stats and charts that tell you whether your campaigns are successful or not. eWay’s Lead module is dedicated to managing individual business cases, and it produces workflow diagrams that keep all sales agents in the loop. After your marketing campaigns are launched, the app converts incoming emails into leads that are analyzed and categorized according to your needs. You can also add leads manually, or import them from special web forms embedded on your website. This makes it simple for you to get info on buyers and opportunities, automatically generate tasks, and assign them to the right sales agents. On top of that, you can utilize the detailed pricelists to create instant quote for your buyers, and use the communication history to analyze overall sales performance. eWay’s Project Management module is another attraction as it gives you more useful features including lead-to-project conversion. You can automatically import all communication history with your clients in your projects/tasks, so that sales reps do not miss important details while preparing their pitch. In addition, you can adjust the workflow to the type of business, and generate appropriate stages and tasks. The system can also create milestones and deadlines, and remind you when they are near. eWay is not just about existing projects, you can also create new ones with just a few clicks. Plus, you can plan tasks according to communication, and integrate the app’s project calendar with your Google and Outlook calendar. This enables you to compare your achievements with your original targets. You can ensure all projects are visible to all team members unless you wish to restrict access with special permissions for sensitive data. eWay CRM can also be used for detailed analytics as it offers readily available data for processing. The solution supports a range of report types including customer communication, project accomplishment, finances, agent performance, sales efficiency and more. Plus, you can generate custom summaries for specified activities. 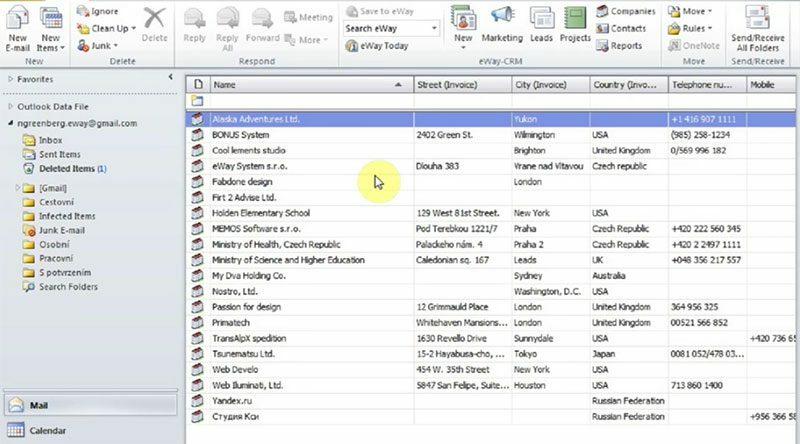 All reports can be easily printed and exported as PDF, Excel, and Word files. Happy to see you have noticed eWay-CRM. As a user, I really appreciate the recent update – full GDPR compliance, as some of my clients are from the EU.